So I had some M&M's that I wanted to use and found this recipe here. 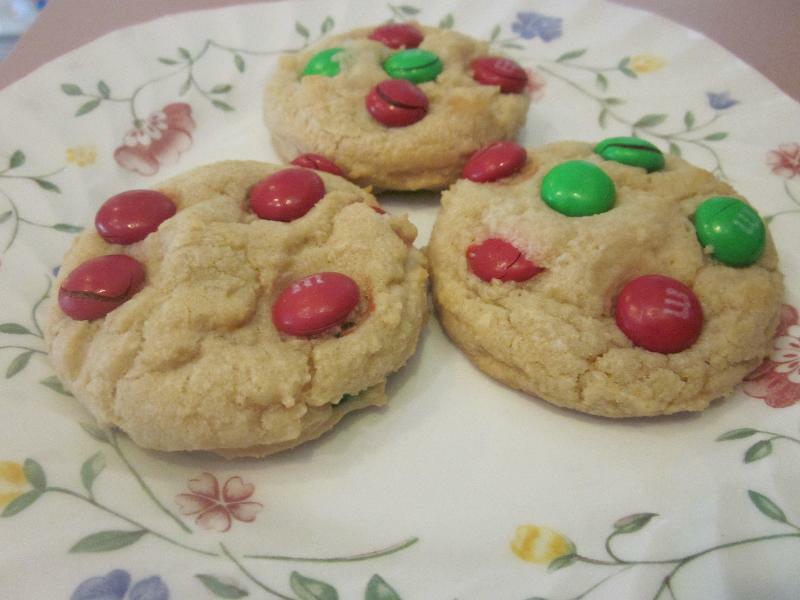 These cookies would be perfect for any holiday with colors matching the theme. In a large bowl mix the sugars, eggs, shortening, and vanilla until creamy. Next add the flour, salt, and baking soda to the creamed mixture and blend well. Then add 3/4 of the M&M candies. I used a cookie dough scooper and placed them onto cookie sheets. Or you can use a teaspoon to measure out the dough. Then place a few candies on top of each ball of dough. Description: a sweet and tasty cookie!